Baking cakes with a normal pan can be quite frustrating. I for one struggled with making several cakes over and over because it gets ruined once I try to get it out of the pan. To end my baking struggles, I decided to get myself the best springform pan on the market. If you like baking cakes, and want to have a cake that looks as good as the ones you see at your local cake shop, you should invest in a great springform pan that will help you bake cakes as if you're a pro. Which Springform Pan Should You Get? Baking cakes can be quite frustrating especially when you're a beginner. Removing the cake from the pan is a struggle every baking newbie goes through. Like I have mentioned before, I struggled with baking cakes over and over because I keep on ruining my cake's structure just as I was taking it out of my pan. 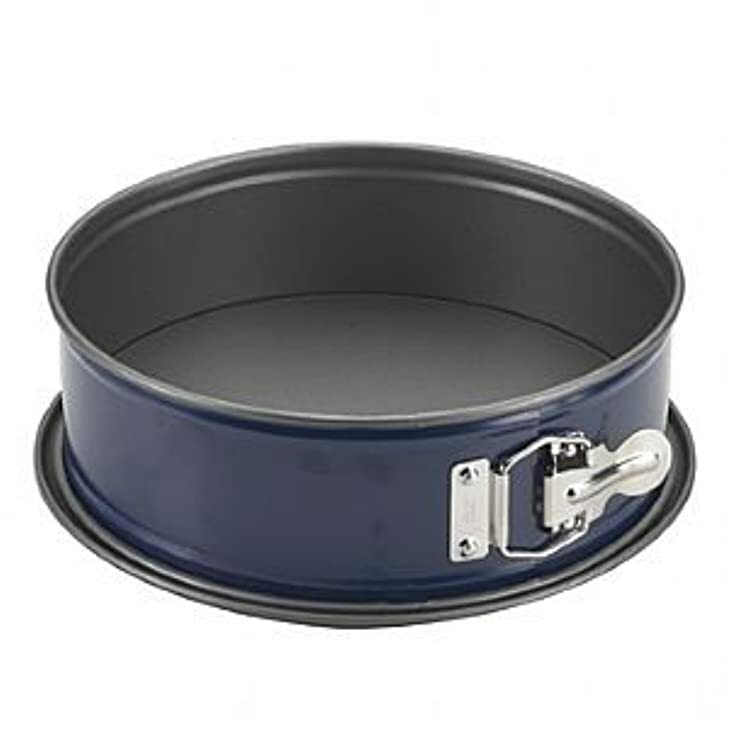 Before springform pans, cakes were often baked upside down, and the only way to remove it is by turning over the pan and gently tapping the base until the cake is free from the pan. The problem with this procedure is that is tends to ruin soft fragile cakes such as cheesecakes and runny puddings. 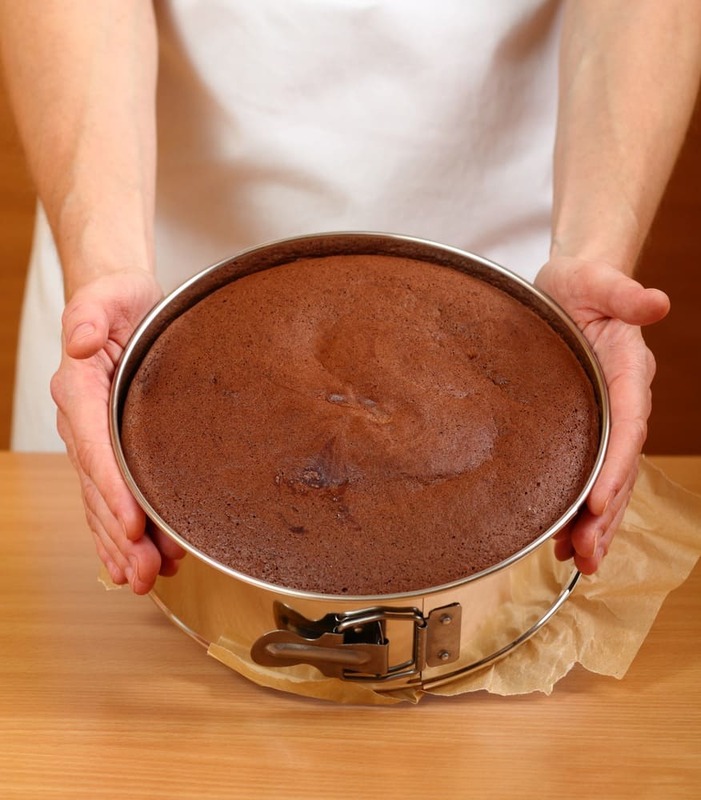 A springform pan is a baking tool that will help you easily remove cakes from the pan. it has removable sides that you can easily slide upwards to reveal your cake. Springform pans come with an adjustable latch that can be tightened when the latch is locked in place, sealing the pan's base. Once unlatched, the sides expand and can be removed from the cake base. The main purpose of a springform pan is to make it easy for you to remove the cake from the pan without damaging the structure of your cake. Non-stick pans are great for making cheesecakes because it prevents the food from sticking to all sides of the pan. This means that even if the filling of your cake clings to the pan's surface, you can still remove the pan's sides without ruining your cake. Silicone pans are also easier to remove. All you'll have to do is peel the sides away from the cake. Glass-based pans are significantly better than metal based pans because it doesn't give off a metallic taste. Glass-based pans are also easier to maintain since they don't get marred when the cake is being cut while it's on the base. As for the sizes, springform pans usually come in 9 or 10-inches. There are also smaller sizes that come in 6 and 7-inches. What's great about the smaller pans is that you can make 2 small pieces of cake instead of one whole piece. Doing so can make it easier for you to split your recipe and make two sets of desserts. This springform ﻿﻿pan set will offer you three pans with in 8, 9, and 10-inch sizes. All of the pans in this set are made with reinforced non-stick surfaces that makes it great for baking delicate cakes or cakes with toppings. These pans are also fairly easy to use since they come with specific pan measures stamped on their handles. What's great about the Wilton Perfect springform pans is that they are very easy to clean because unlike other pans, these are dishwasher safe. This 9-inch silicone pan is great for baking all sorts of cakes since it's silicone sides can easily be peeled off the cake with great speed. 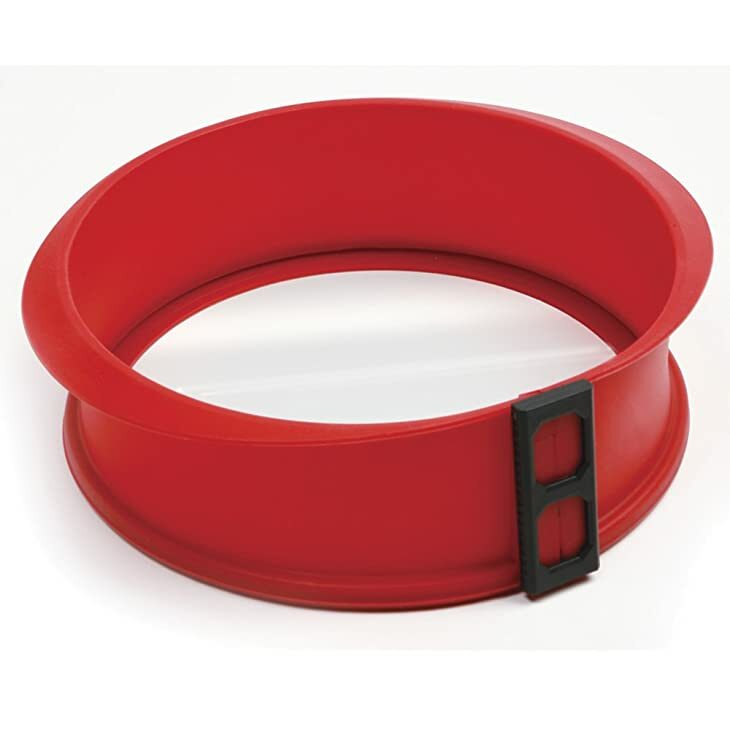 It's silicone ring doesn't stain and retain odors that might cling to your cake. You also don't have to worry about the silicone losing its shape while baking since it can withstand heat temperatures up to 450 degrees Fahrenheit. 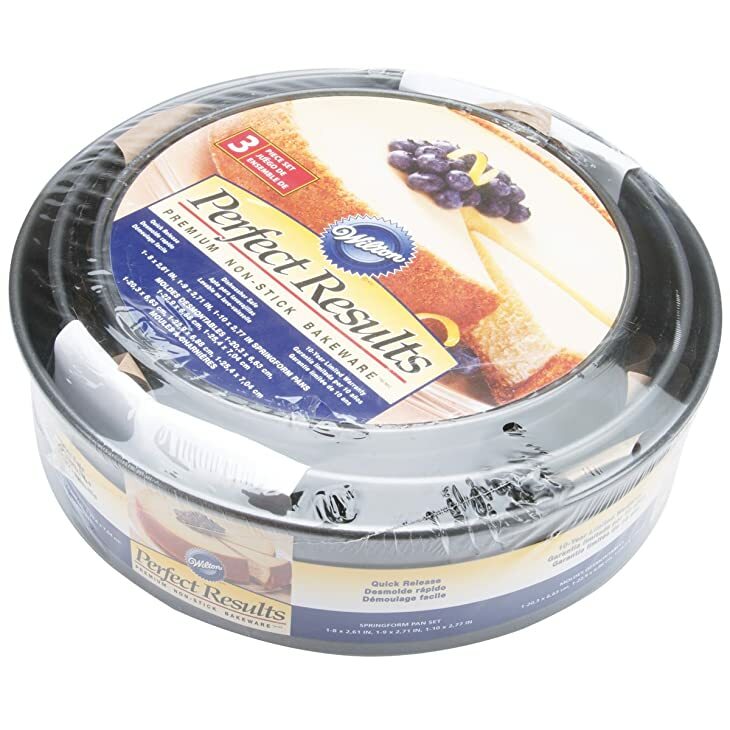 What's more is that this springform pan comes with a glass base that makes for an attractive platter to serve your cake on. The Nordic springform pan is a non-stick pan with a metal base. 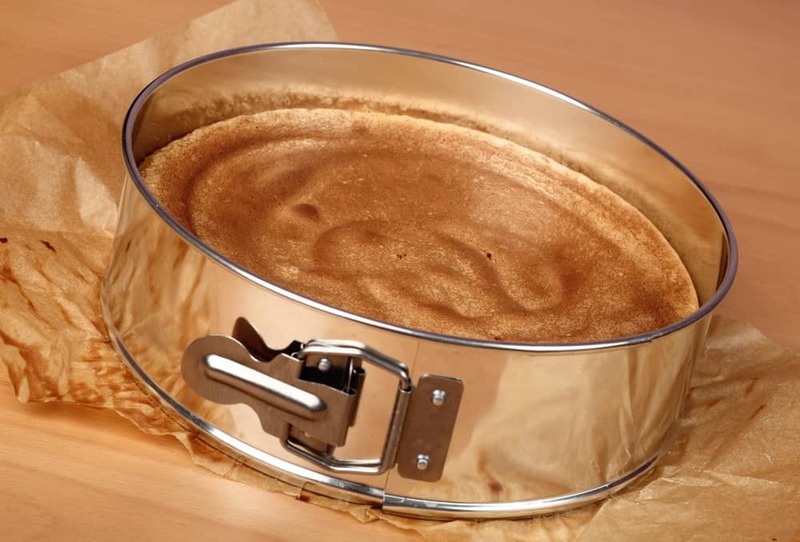 This pan can do wonders for you if you are into baking cheesecakes because of its easy-release design. This 10-cup capacity pan is also fairly easy to clean since the food doesn't stick to any of its sides. 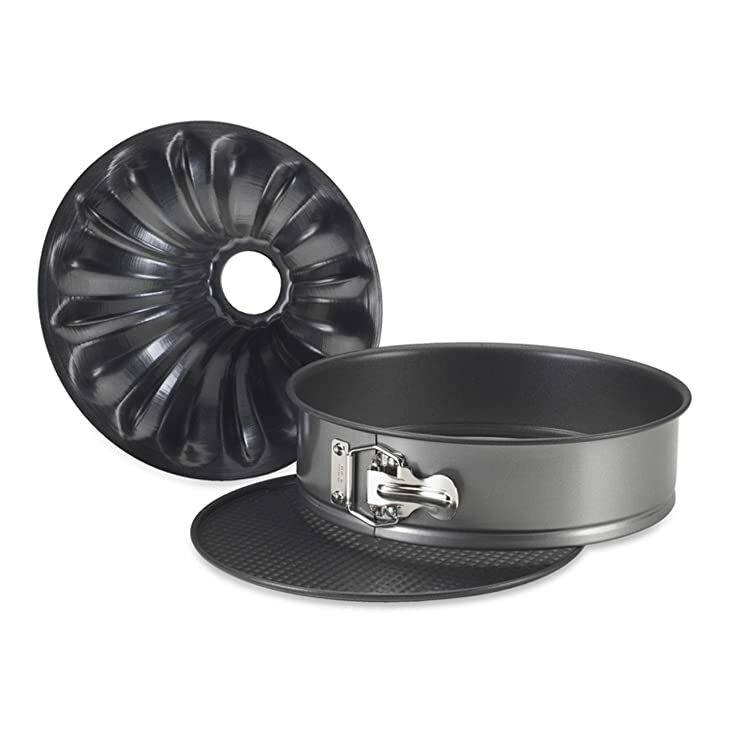 This springform ﻿﻿pan comes with two bottoms, offering you with two options: bake a cake with a standard bottom, or bake a cake with a hollow center and molded flutings on the top. This 10-cup pan is great for baking a cake, torte, or cheesecake because it is equipped with a non-stick finish and a leak proof sell that will help you avoid messy spills. What's more is that it is made out of aluminized steel that is warp and rust resistant. The MCICRO non-stick ﻿﻿cake ﻿﻿pan is a truly reliable pan when it comes to baking fragile cheesecakes. 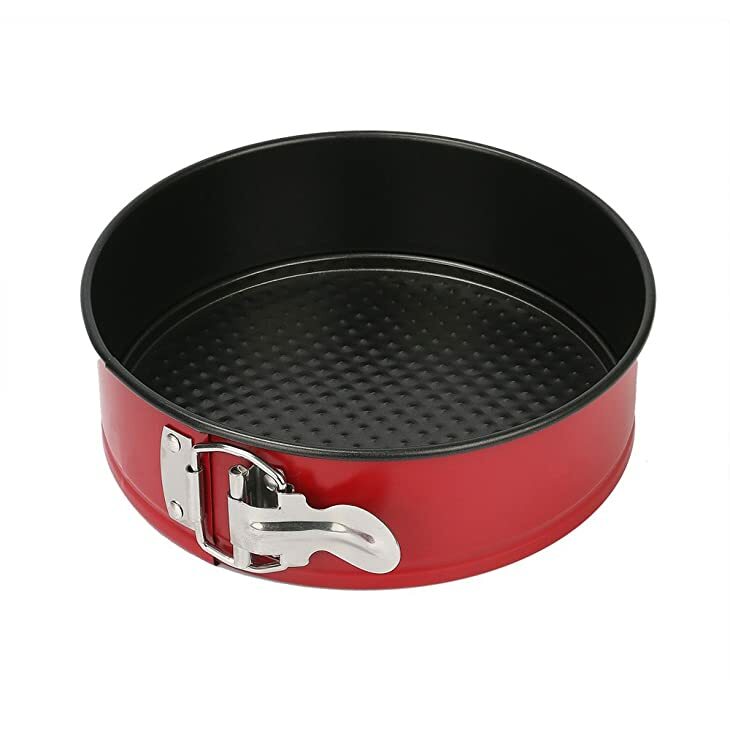 It has a simple locking mechanism that ensure a tight seal around the pan's base. It's also made out of BPA free nontoxic non-stick coated heavy duty gauge steel that's sure to last for years. What's more is that its 7-inch size makes it perfect for an instant pot pressure cooker. All the springform pans included in this list are reliable and worth checking out. 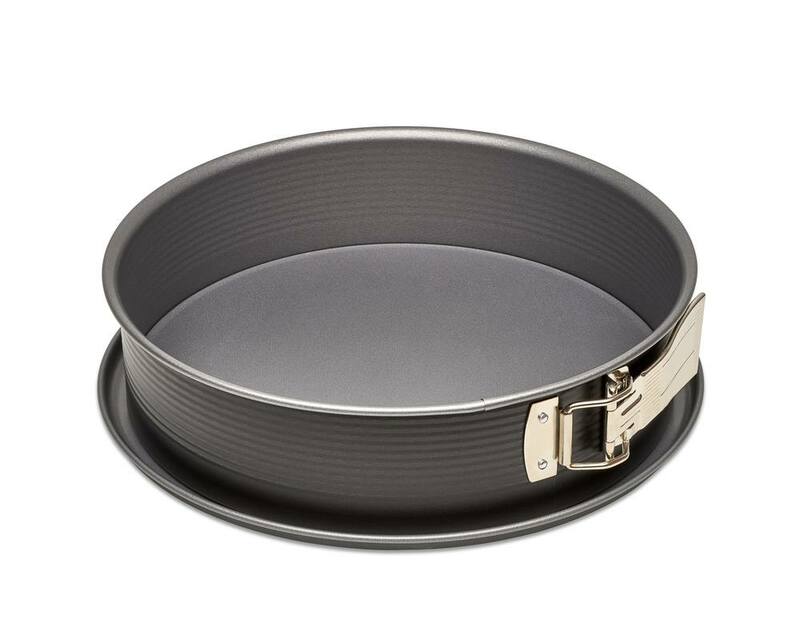 However, the Wilton Perfect Results 3 Piece Springform set might be the best to fit your baking needs since it offers three pan sizes. What's more is that these pans come with measures stamped on their handles to make it easier for you to use, and the best part is, you can easily clean it with your dishwasher. If you like this article, and would like to read more just like it, please leave us your feedback in the comment box below. Until next time, enjoy!